Rubina Singh leads the TechBridge Program, at Fraunhofer Center for Sustainable Energy, which provides an open innovation and technology validation platform for investors and industry sponsors. Dr. Christian Hoepfner is the Executive Director of the Fraunhofer Center for Sustainable Energy Systems. Being a clean-tech startup amidst today’s uncertain political priorities and tightening R&D budgets is like being on a rollercoaster where the loops keep getting bigger and bigger and have no end in sight. But surprisingly, this hasn’t stopped many clean energy startups bursting with outside-of-the-box ideas and innovations waiting to be taken to market. However, with a 50% decline in non-software cleantech investment in the last few years, these promising and innovative technologies might never cross the infamous “valley of death”. There are lots of great ideas, but less and less funding to see these ideas to market. So, promoting innovation in clean energy means that we need more efficient ways to deploy increasingly limited investment capital. One answer is to ‘de-risk’ these technologies. De-risking new innovations through third party testing and validation shows that the technology has merit if developed, yielding valuable information on potential investments at low cost. 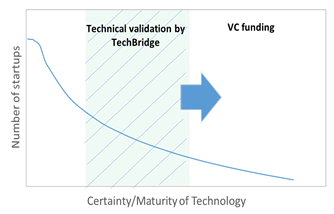 Technology validation and prototyping reduces investor uncertainty and has been shown to double the likelihood of investments and traversing the valley of death to a successful exit. Where does de-risking technology offer the most value? If we divide the clean-tech startup universe into two categories – 1) Innovative and less capital-intensive startups such as clean-tech software that secure VC funding easily, or 2) Low maturity but potentially disruptive startups that are more capital intensive, yet to be proven and pose high risk – we find that more capital-intensive startups offer the most bang-for-the-buck. On one hand, software startups are often perceived as low-risk as they do not require large capital investments, and failures can be addressed by software updates. On the other hand, cleantech hardware startups are capital intensive, have longer payback periods and are considered high-risk despite the potential of significant long-term return on investment. This risk can be lowered through validation and testing as we’ve shown below. As an unaffiliated non-profit, Fraunhofer TechBridgeÔ has worked with more than 40 startups in the past 7 years. We have been watching their progress and assessed the impact of technical validation on their success. Our analysis shows a correlation between technical validation and follow-on funding. Of the 41 startups we analyzed, we found that hardware startups receiving validation services had a 100% survival rate as compared to 70% for those receiving other services solely. The validated startups also secured 30% more funding within one year than startups receiving only incubation or mentorship services. Also of note is follow-on investments for hardware startups receiving validation services were similar to that of software startups receiving validation services. Historically, investment trends have tended to favor cleantech software startups over hardware ones so this finding suggests that de-risking capital-intensive startups can go a long way towards closing this investment gap. We also noticed that investments in technically-validated startups are considerably higher than those which were not validated nor received incubation or other services. This can be due to the high selectivity afforded through energy competitions in conjunction with the de-risking services. This process chooses startups that are most likely to succeed and gives them the opportunity to be advised by industry and market experts in order to develop their technology to cater to the market needs making them investor-ready. The results of technical validation are great! On comparing our performance metrics with those of another successful incubator and accelerator, we observed that in the past 5 years, startups receiving technical validation services obtained higher cumulative follow-on funding across a smaller cohort of companies – i.e., more total investment, and more investment per company than other types of startup support infrastructure. The only issue is while de-risking startup’s technologies attracts more funding, they require funding for validation and technology demonstration first. How can startups escape this catch-22? We borrowed insights from the successful German model of innovation. In Germany, the so-called “Mittelstand”, referring to small to medium-sized enterprises (SMEs), dominates the German business landscape. Several public institutions, such as the Fraunhofer Network, support these SMEs by helping to bridge the gap between research and industry through developing and commercializing innovations. 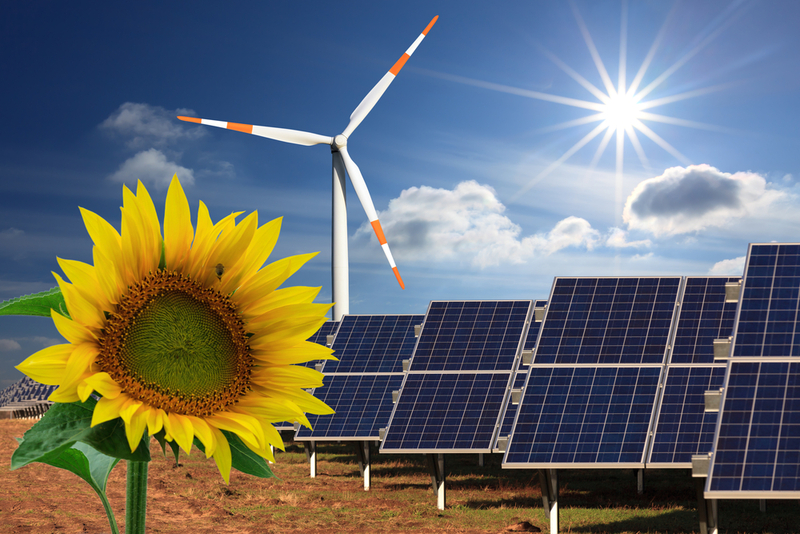 Adopting a similar model in the US might help to revamp clean-tech innovation. The recent report by Information Technology and Innovation Foundation (ITIF) refers to the concept of “innovation orchards” as a collaboration between industry, government, universities and research labs to support startups and bridge the gap in financing of new innovations in “hard” technologies such as cleantech. The report alludes to MIT Engine, Cyclotron Road, MassMEP-Greentown and Fraunhofer TechBridge as some models doing just that by using unique approaches to enable innovation and facilitate commercialization of startups. We agree that public-private partnership models that utilize shared resources and technical expertise can help. Non-profits and universities can facilitate collaborations between startups and large corporations and can significantly help bring new technologies to market faster. The TechBridge Program focuses on collaborating with corporate sponsors to develop competitive challenge competitions for early-stage startups that reward winning ideas with testing and validation services. In this way, TechBridge draws from Fraunhofer’s technical resources, domain expertise and global network of research institutes to help US startups develop their technologies. Simultaneously, corporations receive the opportunity to influence emerging technologies and leverage market insight gained to make better investment decisions. The result? Higher likelihood of investment success and a win-win situation for all. We need more such models that provide all four drivers for breakthrough innovation in cleantech – speed in technology adoption, lean R&D, use of technological platforms and exploration of new markets. Clean-tech innovation will live long and prosper. Open innovation models that support startups to refine, validate and commercialize their technologies can be the spark to a future ablaze with possibility.